Do I need Extension Planning Permission? Do I need extension planning permission is probably the question at the top of your list. No extension must sit forward of the principal elevation of your home, or the side elevation if fronting a highway. Your extension must not be higher than the highest part of the existing roof. A single-storey rear extension must not extend beyond the rear wall of the original house by more than three metres if an attached house (such as a terraced or semi-detached) or by four metres if a detached house. The maximum height of a single-storey rear extension on your home must be no more than four metres or extension planning permission will apply. Extensions of more than one storey must not extend beyond the rear wall of the original house by more than three metres. There is a maximum eaves height of three metres for an extension that sits within two metres of the boundary or extension planning permission will apply. The maximum eaves and ridge height of any extension must be no higher than that of the existing house. If you are wanting to add an extension to the side of your property, this must be a single storey with a maximum height of four metres and width no more than half that of the original house. For two-storey extensions, they must sit no closer than seven metres to rear boundary. If your extension is higher than one storey, the roof pitch must match that of the existing house. Any materials used in the building of your extension must be similar in appearance to the existing house – e.g. red brick, render. Any windows on an upper floor of an extension that is side facing must have obscure glazing and any opening must be at least 1.7m above the floor. On designated land, there is no permitted development for rear extensions of more than one storey. On designated land, no cladding of the exterior of an extension is permitted or extension planning permission will apply. On designated land, no side extensions are allowed. What are the reasons I might need extension planning permission? Take a look at the list above which explains the criteria you must meet in order for your extension to qualify for permitted development and NOT need to go through the extension planning permission process. Your local Planning office will be able to fully advise you, but there are various reasons why you may need extension planning permission such as if you are having an external finish on your extension that differs to your home (e.g. a red brick home and a rendered extension). If you want to check on any of the criteria for extension planning permission, simply get in touch with your local council’s planning department or if you have already appointed an Ultraframe Ultra Installer, ask them to do this on your behalf. If the extension you’re adding to your home will not meet the above criteria, it will either not be permitted or will require extension planning permission. If your extension will be permitted but requires planning permission, then you will need to contact your local Planning office (or if you are having your extension project carried out by an Ultraframe Ultra Installer, they will take care of this for you). You will then be appointed your own Planning Officer or Building Control Surveyor and they will be your point of contact for any extension planning permission questions. How can a Planning Officer or Building Control Surveyor help with extension planning permission? They will advise on any changes to your project that are needed to ensure that your extension is planning permission compliant and will visit your project at agreed stages to sign off the work being carried out. If you have any questions about extension planning permission, you will be able to contact your Planning Officer as they will know all of the details of your project and be able to help. Can my extension installer help me with extension planning permission? If you have chosen an Ultraframe Ultra Installer to carry out your extension project, they will be able to take care of the extension planning permission process for you – taking away the hassle and leaving you to enjoy other aspects of your extension project, such as choosing your furnishings and accessories. 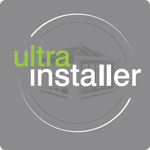 Extension planning permission doesn’t have to be a worry - your Ultra Installer can help.